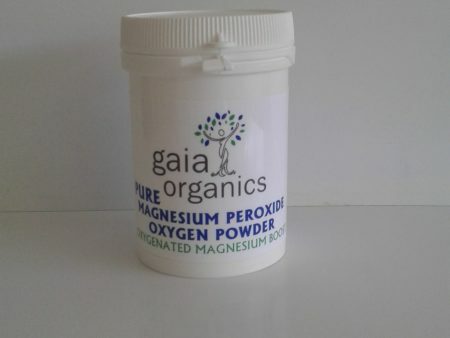 Magnesium peroxide (MgO2) is 43% powdered magnesium (Mg) and 57% pure ‘solid phase oxygen’ (O2). Magnesium is an ideal carrier for the oxygen, since it is an antacid and alkalizes the gut fluid, enabling the oxygen to dissolve. Magnesium Peroxide progressively liberates the oxygen upon contact with the acids in water and also imparts a beneficial high alkaline reaction to water to which it is added. Oxygenated Magnesium has additional advantages over other forms – such as significantly greater mineral ionisation. Normally Gaia Research would not recommend elemental minerals, preferring food sources, but in this case there is considerable scientific evidence that it is uniquely well utilised as a water additive, especially since it is ionised. Directions: We recommend a 5 day program of 1 level teaspoon in a glass of water on the 1st day. On the 2nd day take 1/2 tsp and repeat on the 3rd day. The 4th day, take 1/4 tsp and on the 5th day 1/4 tsp. of powder in every glass of water. Wait at least 30 minutes, if not longer, before breakfast, and after the 5 day program is complete, continue with a “pinch” in a glass of water every morning. 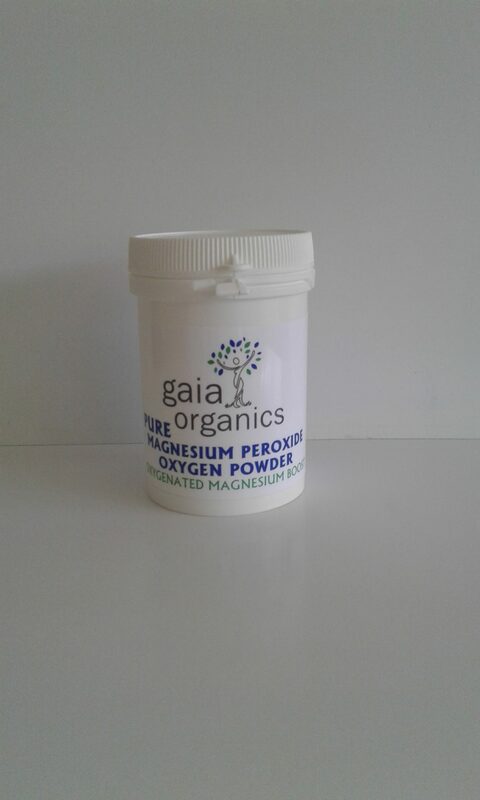 Magnesium Peroxide is also useful for coating seeds for gardening and adding to sprouting seeds to improve germination and alkalise, oxygenate and sterilise the young roots as it slowly liberates hydrogen peroxide and oxygen. Please see also see our entry for Hydrogen Peroxide which may be safely added at 3 drops to a pinch of Magnesium Peroxide per glass of drinking water.